LG ThinQ Speaker Will Use Google Assistant | Nerd Much? A full unveiling of the product to take place at CES. Smart Home devices seem to be a strong focal point of CES this year. The announcement of the Blink Wireless Doorbell and it’s cheap price impressed us the other day. And now comes word of the LG ThinQ Speaker sporting Google Assistant technology. LG is touting the ThinQ Speaker as its first premium smart AI audio product. The company teamed with Google to make the speaker a reality. And thus the inclusion of Google Assistant being built in was a no brainer. And could be a win-win for both parties, and consumers as well. Other than a brief PR release, LG hasn’t given us much information on the ThinQ Speaker yet. However, they did reveal that LG’s swath of smart home appliances will be fully functional with Google Assistant. 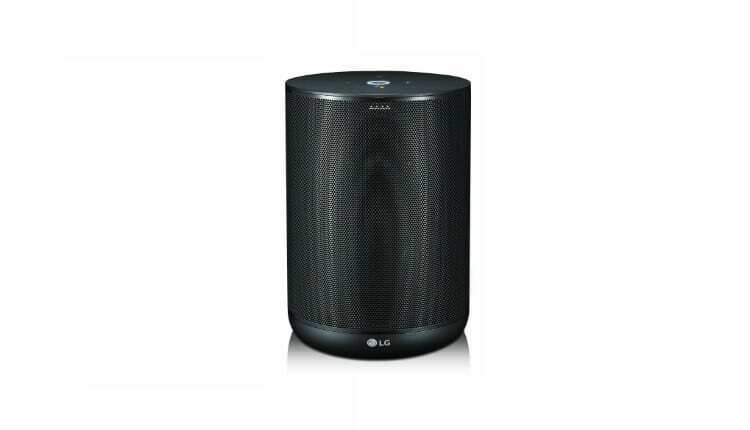 For instance, LG stated that Google voice commands will work in conjunction with LG devices. By saying to your ThinQ Speaker “OK Google, talk to LG, turn on the air purifier”, the device will then, well, turn on your air purifier. Should your home already be decked with LQ smart products, this could be a fantastic addition to make your life easier. LG has promised that quality audio was not forgotten in the design of the ThinQ. The speaker utilizes crisp Meridian Audio technology. And the company states that the device can “faithfully recreate sounds that were originally recorded in the studio” thanks to its compatibility with high quality lossless files. LG is also promising new reveals for their SK10Y soundbar, their portable PK series of speakers, and updates on their “all-in-one” party machines. Still, we’re mostly curious about the implementation of smart technology within the ThinQ. And perhaps more importantly, how LG plans to price such a device. That information hasn’t been shared as of this time. We’ll find out all these details and more at CES in January.